Since we’re on the topic of robots, there is something that captured my interest with the more recent supplies transport to the International Space Station (ISS). The Japanese cargo ship includes a robot which will be the companion of the only Japanese astronaut (Koichi Wakata) in the ISS come November (the robot is flying a couple of months in advance). The cargo ship left earth last Saturday 3rd August, and is expected to dock on the 9th. While the robot (named Kirobo) is only 13 inches high and weighs around 1 kg, this small wonder will be the focus of research and development in human-robot interaction. Kirobo derived its name from a combination of two words: ‘Kibo’, which means ‘hope’ in Japanese, and ‘robot’. Interestingly enough, Kirobo’s design takes inspiration from Astro Boy, a popular anime series set in a future where robots have advanced intelligence and are able to coexist (sort of) with humans. The main character is a robot boy with the same name as the anime’s title, and series chronicles his adventures and experiences. 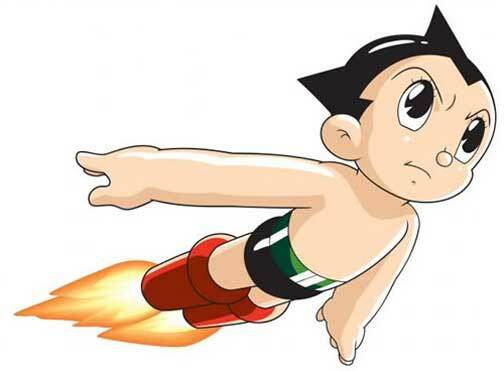 It was a very popular series (and Astro Boy is a very familiar face); I remember watching this anime when I was a kid. Kirobo naturally speaks Japanese and has voice and speech recognition, natural language processing, speech synthesis, and face recognition. The robot is also designed to adapt to ‘living’ in gravity-absent space, ensuring that the robot knows how to move about and talk in this weightless environment. Kirobo will also assist Mr Wakata with experiments to be conducted in space. Incidentally, the robot has a twin. Mirata will stay here on Earth and monitor the progress of Kirobo and help out with problems or malfunctions, if any. While Kirobo is a joint project by a number of companies, the fact that Toyota Motors is one of them was a surprise to me. 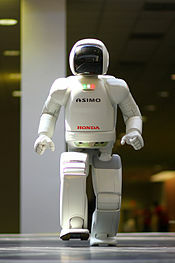 Until now, I have always thought Honda to be at the forefront of robotics, with Asimo as its prime project. It’s great to learn that other companies are advancing research and development in robotics and Artificial Intelligence too. I, for one, will be among the interested parties here in earth to keep track of how Kirobo will fare. This is definitely history in the making! For further information, visit the Kirobo Project at kibo-robo.jp/en/. Kirobo fans can also follow his exploits on Twitter at @Kibo_robo. The tweets are predominantly in Japanese though, but it's interspersed with photos and links so it's still worth following.